One of my favorite torrent indexing services ExtraTorrent.cc was shut down by its registrar and blocked for worldwide audiences. The website does not mention a reason, neither did the administrator of the website known only as SaM. In his conversation with TorrentFreak the webmaster only commented “It’s time we say goodbye”. After being in operation for 11 years, the website caught the attention of various copyright owners which eventually lead to the end of the revered torrent service. Naturally, we’re all running around looking for some good Extratorrent alternatives to tide us over until we can find a proper replacement or clone for the site. Warning: Experts and enthusiasts alike recommend using a Torrent VPN service to secure your torrent downloads in regions where DMCA and other copyright laws are prevailing. Important note: Your torrent downloads are not safe! IsoHUNT once suffered the same fate as ThePirateBay and KickAssTorrents. After it was sold to a new owner the website has been back with all its torrents, a new community and a new torrent client. Torrents are also properly categorized and tagged for easy access, thus offers a much better user interface. IsoHunt is the author’s recommended torrent indexing service. RarBG is one of the oldest torrent web services and has been around since ThePirateBay became legend. It has seen all ups and downs of the torrent world but still survives to this day and that`s the pure reason for mentioning in our extratorrent alternatives list. RarBG’s website is poorly managed and you may not find some torrents in their library although they are there (poor indexing probably), a Google search will do the job though. 1337x is a community based torrent website that encourages online community sharing. This torrent website has a brilliant website design that makes it quite appealing and user-friendly hence you can easily find your favorite torrents. This website also offers a built-in chat feature and a very well-populated forum where users can interact, discuss torrents, and other relevant topics. Although the seed/peer ratio on 1337x is not as effective as on ExtraTorrent,it is still one of the top extratorrent alternatives to go to. You will also find sections for most popular torrents in movies, games, applications and other categories listed on the home page for easy access. Do remember to follow the rules of the 1337x community if you are a registered member. LimeTorrents is yet another torrent website making waves in the domain of torrenting recently. According to a number of critics, it looks like the copy of LimeWire however it provides a simpler attractive user interface & website navigation. Torrents have proper statistics offering seeds, peers, health and download stats in real time. Lime Torrents follows a similar interface to that of KickAssTorrents including a categorized search, quick browse menu and a very familiar trending torrents list on the homepage like KAT. The website also offers a dedicated trending page, a brilliant FAQ, latest torrent news, a search cloud feature and an exclusive section for torrent clients. Monova offers a huge selection of movies, live shows, games, apps, software and much more updated on daily basis. In addition to this,the website provides a fairly simple to use interface that makes torrent searches easy for users. Monova is although a great website to get torrents but we noticed few seeders for latest downloads. 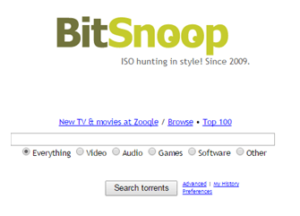 BitSnoop is one of the best and most visited torrent libraries by Indian torrent fanatics. A simple website interface, categorized torrents, on-site FAQ, top 100 list, anda dedicated blog makes BitSnoop an instant favorite.You can explore different options like video, audio, games, software and other torrents through the instant search option plus use the cloud server. BitSnoop offers abrilliant seed/peer ratio giving you high speed downloads from a huge variety of members of the website community. Another amazing aspect of the website is that all torrents are verified by admins, to avoid false positives. If you are a true season shows fanatic then EZTV is the place for you. EZTV is a recent addition to torrenting websites offering a huge library of TV shows allowing you to discover favorite TV shows on a daily basis. The website not only provides high quality torrents with considerable seeds but also recommends using privacy tools to avoid infringement notices & legal action. EZTV also offers members a categorized list of season shows, dedicated forum, a well maintained FAQ and a huge community of torrent seeders & leechers. The availability of torrents is very good, with lots of seeds available for most shows plus torrents are always with great health. There is no comparable now that KickAssTorrents, ExtraTorrent and TPB are all banned. Torrent Reactor is an ideal place to find the latest and most trending torrents with good health. Torrent Reactor is a brilliant source to download movies and TV shows but beware of adware & spyware. Torrent Project is a fairly new indexing service, but this newbie is not here to settle in the little leagues. Powered by a huge library of 9.8 million torrents, Torrent Project has fast become the envy of copyright trolls. TorrentProject does not host torrents from its own servers, rather acts like a search engine that queries results from other torrent indexing services like TPB, KAT, SumoTorrents, Torrent Reactor and others. Ranked number 9 in our best extratorrent alternatives list. Do remember that the website complies with all DMCA & Copyright notices, so be sure to use a torrent VPN for this website. Torrent Project also offers a list of public trackers, provides access to ad blocking tools and offers using DuckDuckGo or TOR for private browsing. ExtraTorrent has been returned to its normal state with a new domain name and almost all functionality. The admins have established that all remaining features will be reintroduced over time. One thing I noticed is that the admins are quite optimistic and they are ANGRY! These the email confirms are the same admins and uploaders who brought back ThePirateBay & KickAssTorrents when they were taken down. You don’t need to use any other extratorrent alternatives now. Hope you guys enjoy our list of 9 most reliable ExtraTorrent alternatives to download your favorite movies, music, TV shows, and other media. As copyright trolls continue to punish torrent indexing services & torrent downloaders alike remember to keep yourself safe when downloading torrents. 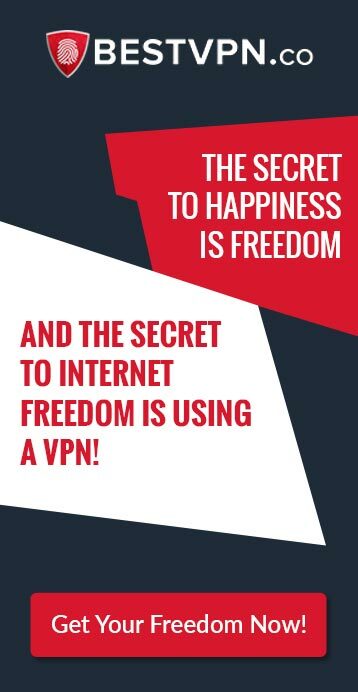 Have a look through our articles explaining the importance of VPN while torrenting trending movies, TV shows and games. If you liked my article remember to share it with friends and visit the blog again for more torrent guides, tips & tricks. After a long search over internet, I found that extorrents.net is one of the best website to download latest updated torrent.